Amsterdam has been the first city of choice for John Sinclair. This new variety of Skunk is bred in collaboration with Ceres Seeds to reflect the strong skunk weed found in many Amsterdam coffeeshops, and to fulfill requirments of John’s evolved taste. Parented by the original strain that made Amsterdam legendary in the 1980s, wiining the very first Amsterdam cannabis cup. 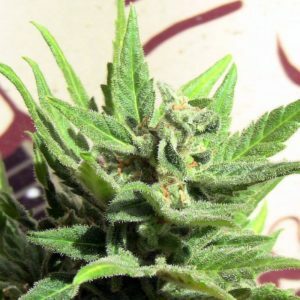 Amsterdam Skunk is a top quality classic strain, a fast growing, high yielding plant with exceptionally strong effects. Skunk is highly respected as the original hybrid, the first stable crossing of an indica and sativa together. Today, skunk is often used as a generic term to refer to any powerful marijuana, but only the original skunk, with the original genetics, can live up to its reputation: very smelly and strong as an Ox. John Sinclair has been a longtime lover of potent ganja, and we are proud to present his own tribute to the classic variety. Skunk has been around for decades so its genetics have had ample time to stabilize properly, which gives John Sinclair Amsterdam Skunk a consistent structure and steady bud formation. 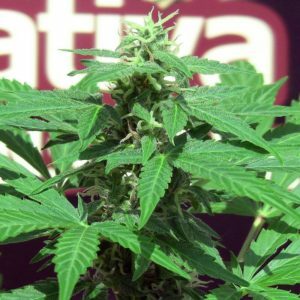 The growth and flowering is dominated by the Indica genes, although this Skunk will grow somewhat taller than other pure Indica strains. She only takes 8-9 weeks to mature, is easy to maintain and will yield abundantly. John Sinclair Skunk is the best choice for a beginner because of its rock solid genetics, quick flowering time and general low maintenance. The Sativa genes manifest when the delightful buds are harvested and smoked producing the desired combination of high and stoned!